What’s Your Favorite Hardwood Floor Style? This is a sponsored post for Floor & Decor. All opinions are 100% mine. Do you have a favorite style or type or color of hardwood flooring? 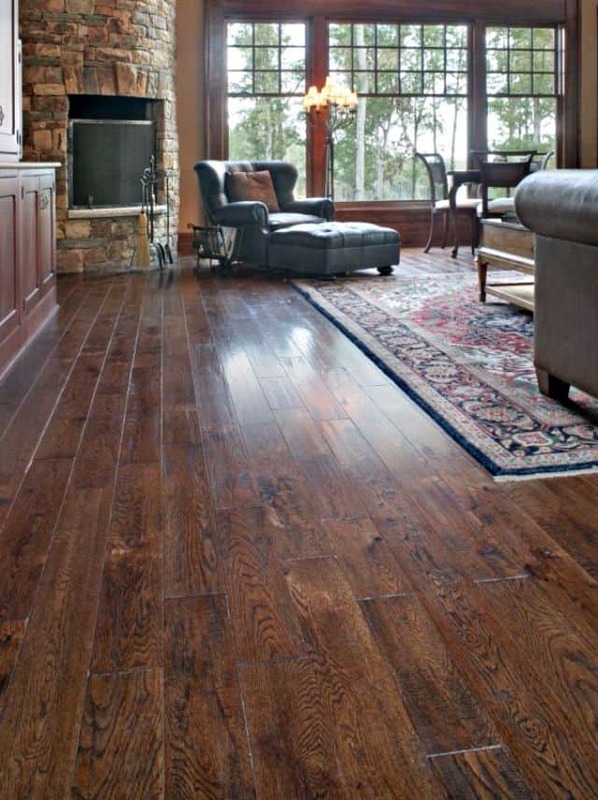 Do you love the rich look of hand scraped hardwoods? 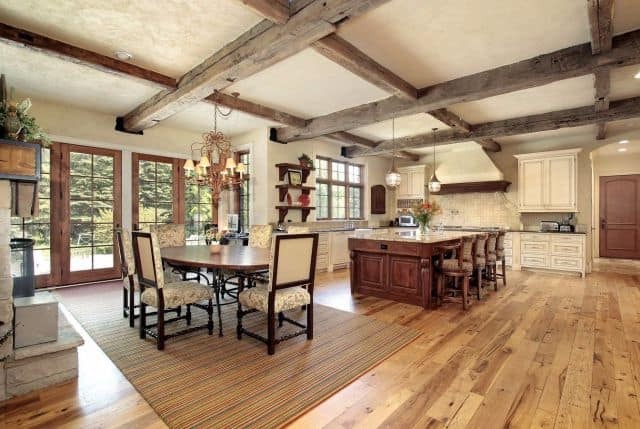 Or do you prefer the relaxed look of rustic hardwood floors? Maybe you’re a traditionalist, preferring the look of oak that is already in so many homes today – including mine. It seems that the possibilities in hardwood flooring are endless these days. To say that I was bowled over by the selection offered at my local Floor & Decor, located in Greensboro, NC, would be an understatement. 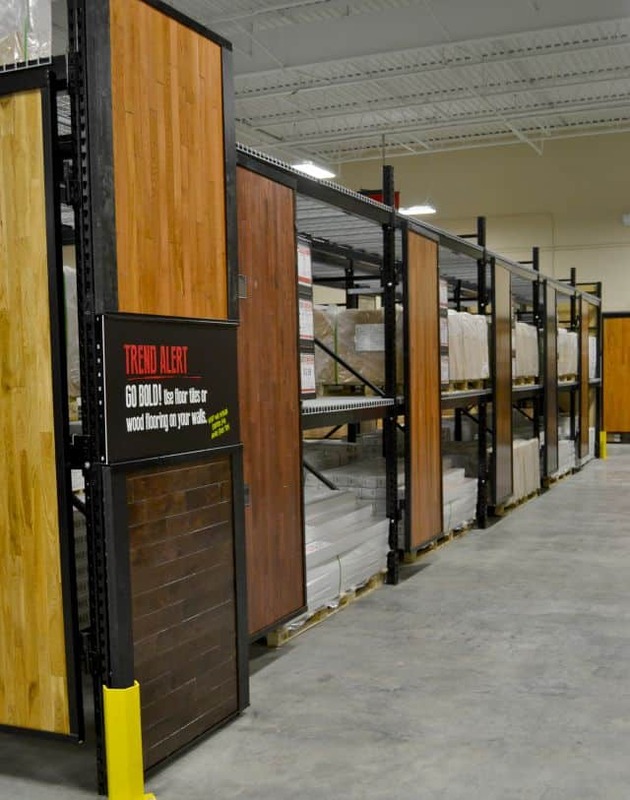 Never have I seen such a huge selection of hardwood flooring in one place! 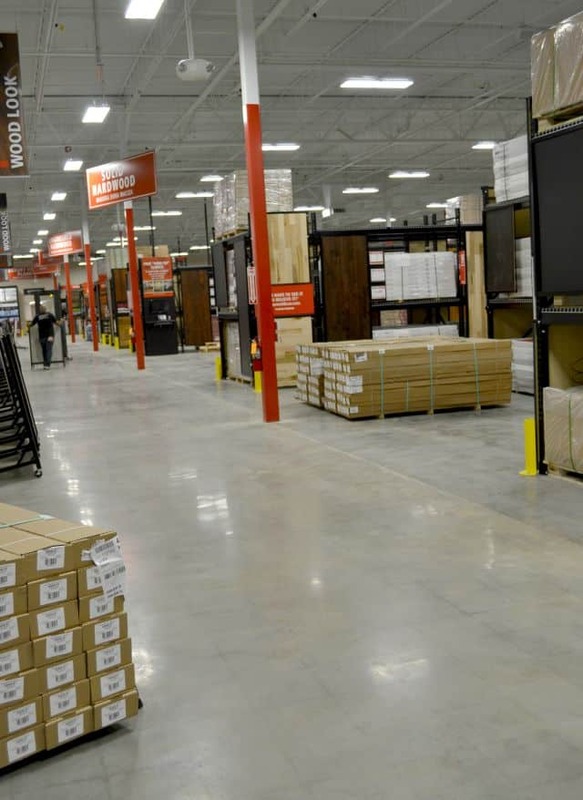 One whole side of the huge store was dedicated to hardwood flooring, from the front to the back. I couldn’t even get a shot of the whole thing in my camera lens. 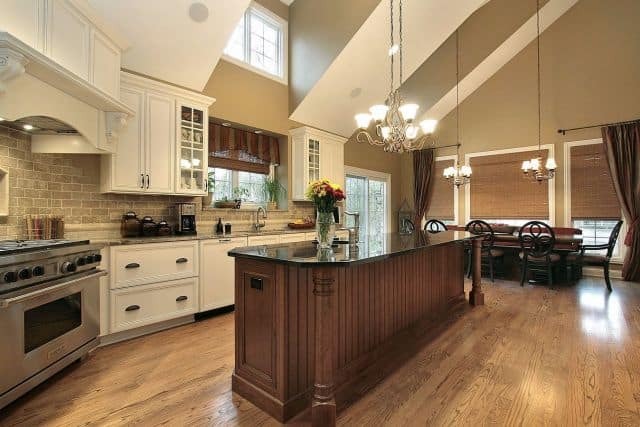 There was everything from solid hardwood to engineered hardwood to laminate. From cork to bamboo. You name it, it was there. Large sample boards made it easy to picture what the flooring really looks like. 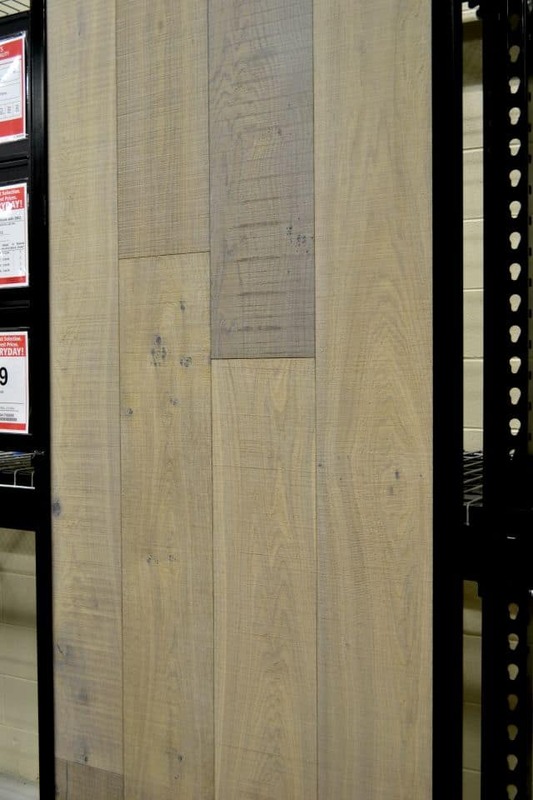 This is just a very small sample of all of the hardwood choices to be found at Floor & Decor. Having trouble deciding what the best choice would be for your space? Floor & Decor has you covered with their FREE design services! And don’t worry if you don’t have a Floor & Decor location near you. All of their products are available online. Click HERE to find out the many reasons why you should shop at Floor & Decor. We just installed Porcelain tile that looks so much like wood that people have had to touch it to believe us. We live on a lake and have people running through the house wet in the summer and full of snow during the winter and wood would not work for us but I love the warm look of it. Now have that appearance in our living, dining and kitchen! That sounds like the perfect flooring solution for a home on the lake, Marilyn. I’ve been crushing on wood-look tile ever since I discovered it! It’s amazing how much it resembles real wood. I live about an hour from Greensboro and I should really check that place out 🙂 We have Select # 1 red oak flooring. I love it because it’s more rustic and less perfect. I am on the hunt for a sheet vinyl flooring that looks like hexagon tile. The only place I can find it is in Hollywood! Red Oak hardwood is what we have in our house too, Angela. One of the reasons that we love it is because it is wood all the way through and can be refinished multiple times. I hope you do check Floor & Decor out. It really is a huge and amazing place. I wish it had been here when we were in the midst of our remodel.